Every year the International Polyphony Meeting “Ciudad de Tomares” take place in Seville. The artistic quality made this Meeting an event of prime international musical relevance. This has been possible due to the excellence of the choristers and soloists participants from all over the world i.e. Argentina, Bulgaria, P.R. China, Cuba, Denmark, Estonia, France, Gibraltar, The Netherlands, Portugal, Russia, Sweden, Venezuela, as well as from elsewhere in Spain. After the great success of the first edition of this festival (CA2017), this autumn 2018, in coincidence with the XI edition of the “Ciudad de Tomares”, the choirs “Polifónica Tomares” (Seville, España) and “Polifónica Isla Cristina” (Huelva, España) will organize this International Festival for Choirs and Vocal Ensembles “CANTA EN ANDALUCÍA 2018”. CANTA EN ANDALUCÍA will take place in auditoria and theatres in Seville and Huelva provinces and participation will be limited to 12 assembles. The festival will start on a Thursday and each group will participate in a minimum of 2 concerts depending in the final number of participants and venues. 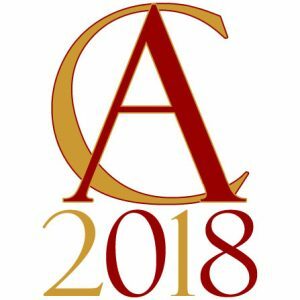 CANTA EN ANDALUCÍA 2018 will be closed on Saturday with a farewell party-dinner with all chorals and vocal ensembles together. We believe that the social aspects as well as culture promotion in relation with tourism are important. In fact, Seville is “The Opera City” being central in over 150 operas, some of them universal productions by prime authors i.e. Beethoven, Bizet, Donizetti, Haendel, Mozart, Rossini, Scarlatti, Verdi. “Carmen”, “Il Barbiere di Siviglia”, “Don Giovanni”, “La Favorite”, “Fidelio”, “Le Nozze di Figaro”, “La Forza del Destino”…. are some of the operas inspired by Seville with locations, many of them real, that participants will have the opportunity to visit and enjoy. During and between rehearsals, concerts and other activities programmed within CANTA EN ANDALUCÍA there will be enough time to enjoy Andalusia and its culture, as well as to socialize and start intercultural relations with other national and international participants. Here we warmly invite you to actively participate in the International Festival for Choirs and Vocal Ensembles “CANTA EN ANDALUCÍA” and to help each other in feeling alive though our sings in 2018.